According to an article in The Daily Telegraph yesterday, Curve Card is going through with its threat to sue American Express for withdrawing its support in January with no notice. The report says that Curve is seeking damages for the ‘millions of pounds’ spent on fees and development work for the project to integrate American Express into the Curve platform. This is a tricky one to call. For most businesses, the ability to accept payment cards is a pre-requisite to their survival so card companies should arguably not be allowed to discriminate over who they work with. On the other hand, you can understand that Amex, Mastercard and Visa would want the ability to stop their logos being associated with stores or websites selling certain products. Credit card companies also share legal liability for products purchased using their cards so they must be allowed to have the flexibility to only work with merchants whose finances and products are seen as reliable. This was not an issue with Curve transactions, however, as the legal liability sat with Curve / Mastercard and not American Express or whichever other card your Curve was linked to. Curve is not going anywhere in a hurry, it seems, despite the huge setback with Amex. Over the last couple of weeks it has announced plans to open offices in Italy, Germany, France, Spain, Portugal and Poland (country managers are currently being hired if you’re interested). As Amex has a lower penetration in these markets, the lack of Amex functionality is likely to be less of an issue. It has also launched ‘Faster Purchase Protection’ for transactions of up to £100,000. This ensures that all claims for refunds against purchases made on Curve are dealth with within one day of receipt of the requested documentation. You are covered when the goods or services were not received, defective or not as described. It also covers eligible purchases in the event that the goods prove to be counterfeit or when a promised refund is not completed. It is worth noting that this covers debit and credit card purchases, which makes it more generous than Section 75 coverage in the UK which only covers credit card purchases. There is also no minimum purchase threshold, whereas Section 75 protection only kicks in if you spend over £100. Does Curve still have value to HFP readers without Amex as a partner? If you pay HMRC, you should also know that payments to HMRC via Curve are still accepted. It is treated as a debit card but goes through as a purchase on your underlying Visa or Mastercard. If you’ve never tried Curve, simply go to this page of their website to download the app. The easiest thing to do is order the free Blue card. Curve will pay you £5 for trying it out if you use my referral code of OQB4J – a £5 cash credit will be added to your Curve Rewards balance. If you click through via the link above (or here) and then download the app it should track automatically. Alternatively, add the code when you register your details in the app. I’m not sure if the Curve lawsuit against American Express will get very far. I’d like to think it would, but the situations under which you can legally force a company to do business with another company are few and far between, although they do exist. That said, strip away all of the noise caused in the last three months by the sudden collapse of the Curve / Amex relationship and you are still left with a product which has some use in the arsenal of the average miles and points collector. Be clear, though. There is a shake-up coming, with little hope that Curve, Monese, Revolut, Starling, Monzo, N26 and Atom will all survive as independent fintech businesses. 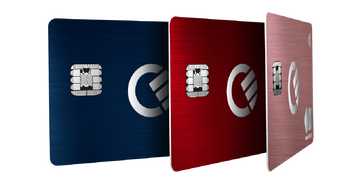 I’m not sure if Curve is less at risk – because it is at least offering something different whilst Revolut etc are just offering plain vanilla banking with pretty-coloured plastic cards – or more so. Maybe an IHG premium card? Check the terms but I think from memory that if you take the paid one you’ll get a Free hotel night (anywhere that has reward availability), 20k sign up bonus, and 15k points for that spend. Plus platinum status. I like revolut. Topping up from credit card is a big win though surely not sustainable long term. Monzo which I also have I don’t see the point in. I work in London and so many people have and use it to pay for the tube for example. Which other fintech cards can be topped up fee free with credit card? Can Revolut be topped up fee free using a credit card? I didn’t think so. I use Revolut primarily for making foreign currency transfers where the rates are always very good. I just top up first from my bank account and ten seconds later make the FC transfer. Works fine and is almost no effort. However, if I can top up using a credit card that gives me points/miles that would be much better. It can, but some credit cards will see the transaction as a cash advance and charge accordingly. Any that don’t work you can list? I have both. I think a lot of people find monzo really useful. I used monzo a lot on a recent holiday with my partner abroad. The ability to create shared “tabs” where you can see how much money you owe/are owed (and for what/when etc) is super useful. No Fx fees. I know a lot of people who use its budgeting features, and use multiple shared tabs for house bills, eating out etc. I don’t use it all the time as it doesn’t have the full product list that I need (ISAs, credit cards etc), although they are expanding their savings range later this year…. Billhop if you’d rather put it on amex for £295 fee. Worth 10,000 avios or another amex airline partner. More with hotels. It’s actually worth giving Billhop a call. We had a series of payments so l asked them for a reduced fee they offered 2%. Like Anna, it gave us our 241 almost instantly, so almost fee free, used for F to Asia. So, give them a call…. Thanks for the tip Polly. I do put a few regulars through so will take that up with them. Interesting. Will try this in the future. Thanks! Well if they don’t win, wouldn’t like to have to explain to investors where all the money went. Curve has its used for the consumer but cant see it being a profitable business anytime soon. Printing cards!! Some people got the metal card for Amex etc, then downgrading back to legacy black and they reissued a new card even though the metal card was never activated. A stupid model really. I could have kept the legacy black physical card or just even used the metal card with legacy benefits. Is it pure coincidence that Amex pulled the 6 month to 24 months move now? Do they envisage an expensive fight with curve? Just a thought. Put it another way, if Amex is allowed back on to Curve, people will absolutely rinse it to make up for their lost sign up bonuses. I think the best Curve can hope for is some publicity or a token settlement basee on partial recovery of costs . If it wasn’t ‘*hit or bust’ Curve wouldn’t ne doing ut. It’s disingenuous of Curve to grab headlines with their new £100,000 limit for purchase protection cover when they don’t actually allow customers to spend that amount in one transaction. Or is it now possible to get my daily transaction limit increased from £3,750 to £100,000? Exactly what I thought! Though who has a £100k limit on their visa/MC? Tesco Bank debit card. Though whether Tesco Bank would allow such a large debit card transaction is another question. Tesco debit card transactions are unlimited. At the moment… due to be reduced to £20k/day late this year. It took curve days for them to even respond to a chargeback request, even then they wanted written letter you wrote to the merchant – who writes to merchants when we have emails and telephone customer service lines? Where are you buying the kitchen from? If it’s a Trade Counter at a Builder’s Merchant, then make sure you’ve discussed with the Tradie, who is going to fit it, that you are getting the best price. The BMs are all highly competitive and offer trade discounts, as well as cash-back deals to their most prized business account holders. Revolut is far more mainstream that Curve. Visit any of the FRB travel groups and Everyone seems to have or use one when abroad. I’d say Revolut is far more mainstream certainly amongst my friends. I use Curve but I’ve only heard of other Curve users on HfP. Are you serious? Revolut and Monzo are mainstream products now. Nobody I speak to has heard of Curve before I mention it. Revolut has its uses but I would rather lose that than Curve that has more useful benefits to me on a daily basis. As for Monzo…..I wouldn’t even consider that when Starling offers a much more attractive proposition. This has to be the most ill judged comment I’ve read on this website in years! I fully understand why HfP readers find Curve more ‘useful’, however, stating it is more mainstream than Revolut is an amateur comment to make if I’ve ever read one. I have both and make good use of them, where the benefit is to be maximised, but Revolut is a million miles ahead of Curve where the ‘mainstream’ crowd are concerned, not to mention in terms of professionalism and stability. Curve is winging it and everyone can see that. I think you might reading the wrong blog Andrew. I suppose everyone is entitled to their views but I can assure you, Brian there are more Curve card holders in the UK than Revolut. Europe wide, Revolut win hands down. Curve is a simpler product for the average person on the street to get their head around. This site is full of contributors that think just because they favour a certain product, everyone else does too and are too quick to verbally insult anyone who dares to disagree with them. I’m not sure I’d agree re Curve being a simpler product – I think the concept of recharging cards, etc. is harder to follow for many than the simple pre-payment concept of Revolut, Monzo, Starling, etc. Your comment being described as ill judged is hardly a verbal insult Andrew! As Adam has shown, Revolut is streets ahead in terms of UK cardholders and again that underlines that it is, indeed, far more ‘mainstream’ than Curve and, I suppose, that your original comments were not as factual as you first thought. Like I said, I have both cards. Don’t favour either but your post was ‘nonsense’. Are you serious?? Pretty much everyone I know here in the UK has a Revolut card. Hardly anyone I speak to has even heard of Curve let alone has it. I have them both and if I could only keep one it would be my curve card. But the popularity of curve even here in the UK compared to Revolut is not even close. When reading an article on HfP about Curve, always remember Rob has a relationship with them. And he has a relationship with Amex! So what? @timtan A ‘Relationship’ ? What are you talking about…..back handers ? Ridiculous. There are, what, 75 businesses listed in the link at the top of each article with which we have a relationship? I’d say Revolut has a bigger market share/penetration than Curve. Revolut does not only operate in the UK, but pretty much whole Europe. It does. It was reported Revolut surpassed 3 million users in late 2018. Compare that to Curve’s 500,00 (figure quoted in Telegraph article). But as has been said about HfP has a business relationship with Curve, so Curve is always bigged up. * It does. It was reported Revolut surpassed 3 million users in late 2018. Compare that to Curve’s 500,000 (figure quoted in Telegraph article). But as has been said above HfP has a business relationship with Curve, so Curve is always bigged up. Revolut has nothing to do with miles and points though, which might explain it …. except that some credit cards still treat Revolut loads as a purchase. Happy to do an article listing all credit cards which treat Revolut as a purchase. All will immediately block it however following the publicity, so it is fairly self defeating … but if it makes you happy I can do it. How many are actually active? Why would revolut be mentioned here? Curve has been mentioned here and already credit cards are treated Curve reloads as cash advances rather than a purchase. What are you trying to argue here? That Revolut is better for points earning on credit cards so there should be an article about it? Having seen how that worked out for Curve I think it should be the exact opposite. Agree – clearly Revolut a much bigger entity at present! New Bee, the credit cards of a certain bank whose name rhymes with HMRC still treat Revolut top-ups as purchases. I shall say no more. Revolut launched as a loss leader with no limits on the foreign ATM withdrawals, so hundreds of thousands of backpackers and “one time a year” travelers took out the card as a cheap way to fund a holiday. I would be more interested in the “active users” which would be a fraction of this number, and from that number which are materially active (i.e. not just holiday money for 2 weeks a year). Revolut use the Interbank rate during the week, and for GBP:EUR, I’ve found them to be around 0.1%-0.2% better than even the Mastercard rate. After all these years Curve only has 500,000 cardholders; Revolut has over 3 million. So your comment doesn’t hold water. Presumably the monthly limits to withdrawing cash and spending abroad is calendar month? Rob, when you say ‘there is a shake-up coming’, do you imply something specific? Or it’s a general observation that there are too many players offering largely the same thing? Saw the earlier questions-answers, clear now. I wouldn’t say Revolut are offering vanilla banking with a colourful plastic card. I actually think Curve won’t last very long. It’s trying to solve a problem which doesn’t really exist. I believe it’s now more hassle than it’s worth for points collectors – too many exceptions, rules, things to remember. Without Amex support, it’s pretty pointless in my opinion. I certainly can’t be bothered with the hassle. Oh man, I’m always late to the party! Yeah. Was quite a PITA most of the time & wasn’t overly sad to see it die off in the end as had become more trouble than it was worth. Plus don’t forget that offers from you bank such as Club Lloyds deals don’t activate when using Curve. Since DCC is passed through, I’m not sure that’s true any more. Haven’t tried Lloyd’s offers with Curve but I did get double points for IHG spend on Creation via Curve. I can second that Curve doesn’t work with Club Lloyds offers. That’s one of the reasons I stopped using Curve. Anyone else planning to go to Curve’s upcoming first ever “Community” event to discuss their plans presented by their CEO, Shachar, in Bloomsbury (London) on Monday 8th April between 6.30pm and 8.30pm. If I say that I have already booked to go then that will probably guarantee that Genghis will plan not to attend of if he does that he will appear Incognito under his real world name. To be honest in view of the level of promotion of Curve that Rob has previously been responsible for I would have thought that he might also attend too to try to get further insight on the reasons for the recent spat with Amex. That comes over as pretty manipulative Julian. Not on old boy…. No mention of food or drink…I’m out! Why do you even bother with this site? You clearly have nothing but contempt for anyone who comments and Rob. Whether you think you are justified or not do you realise how unpleasant you come across? Why on earth would you expect Genghis to be pleasant to you? – I’m sure most people here would actively avoid you if they had to. You do realise I suppose that Rob isn’t running this site as some kind of voluntary self help group for Avios collection enthusiasts in which he freely gives his own time for nothing purely in order to help other collectors for the common good. Instead Rob is running a startup Fintech business (in which he is no doubt still by far the majority shareholder) whereby he earns his living from significant airline points rewards and financial kickbacks from the financial service providers (the card issuers in the main) who he then introduces large groups of new customers to. And by running this site and pushing collectors to exploit the currently most lucrative opportunities available Rob’s site often changes the rules of the game by changing expected patterns of consumer behaviour by the card issuers. For instance would Amex have changed their new cardholder bonus scheme by introducing a new 2 year no reapplication rule (if you want to earn the introductory bonus) and/or would Amex have decided it couldn’t afford to do business with Curve if Rob hadn’t been directing such an unexpectedly huge volume of additional Mastercard debit card originating transactions their way that it was clearly unacceptable for whatever risk model they are running to decide whether to accept such transactions. But perhaps I should expect such thoroughly biblical lecturing from someone who titles himself here as Jonah. Although perhaps you Jonah see me as being something of a Jeremiah?! Perhaps more Bildad the Shuhite? I, like others, do not understand why you are here. You seem so angry about everything. Rob is running a business and i appreciate that – yet I still value the articles he writes. No offence to Rob/HfP intended here – but i really do not think this site is big enough to move the dial on Amex by itself. i realised the huge gaping loop hole of the 6 month churn on Amex cards long before I read HfP – it is very very easy to “work out”. That doesn’t mean i don’t get a lot out of what is on here and everyone’s comments. Also – it doesn’t matter how many times you come here and complain about people “cheating the system” (which it isn’t) – everyone here is still going to do it…………… so why are you bothering……………..
No offence whatsoever to Rob but I don’t think one man and a blog can “change patterns of consumer behaviour”. The regular contributors to the site are clearly financially savvy and love a bargain and must have been like that for a long time before HFP appeared! OMG! Rob is the Devil, a puppet master of sorts pulling on the strings of Amex and Curve. @Anna, I started this ‘hobby’ many years ago, probably before Rob was out of diapers/nappies! In fact I was one of the very first sign ups to AmericanAirlines when they launched the very first significant airline loyalty scheme in 1981, when we were in the States, or maybe they were second thinking about it. I still have the original card I was sent and sometimes handing it over in the US, most agents have never seen one, and my number is still the same after all these years. In fact I have cards from every airline that were flying in the 80’s, some long since gone sadly. As a hobby my wife and I have managed to literally, see the world, and if only the perks available in the early days were available today, when a free ticket really was free, and ridiculous lower miles to get anywhere, and so easy to turn left. Times have changed but we still enjoy travelling and ‘playing the system’ , legally of course ! I honestly don’t think it is in Rob’s best interest, what with him being a partner of Curve. As seen here, keep pushing the Curve card and not question Curve’s statements is the order of the day. Julian i appreciate much of what you say. But its hard sometimes not to.decide just to not read any particular post you may make if by words or tone you could appear to be publicly insulting other contributors to these blog comments or our host Rob. I think you often make interesting points. But i’m starting not to read you because as well as the occasional negative remark about someone personally sometimes there is an impression that overloads in negativity. This could give an unfairly bad impression of you, and makes it hard for the rest of us to align our views to yours. My marketing colleagues would say ‘lighten it up a bit that way your message is easier to absorb. Jus’ sayin’. Genghis what on earth did you do to the bloke?! Genghis didn’t do anything to me. Its just a kind of backhanded complement really as Genghis appears to be the most definitively expert contributor to this website as few seem to know as much as he does about the intricacies of the airline points collecting game. And his commitment to the subject is further indicated by the sophisticated IT measures he has clearly put in place to alert him to any responses to his own posts in these blogs or to any fresh posts (not responding to his own) that mention him by name. Anyway I’m not some starry eyed optimistic marketing or sales type (as quite a few you clearly are, unsurprisingly because its people in those jobs who nearly always travel the most by air on business) but an analytical data expert type who remembers history and can see where many of these points collection schemes tend to go in the long run. And fun though collecting all these points and redeeming them can sometimes be it can also be a pain if some expiring bonus voucher makes you feel you need to book a flight or hotel that you would not otherwise have booked just so as not to lose the value of your voucher offer…………. I still don’t see why you read this blog. It seems to upset you so much that surely not reading it will free up more of your time and reduce your frustration and blood pressure. Julian I dont think that is how amex worked with curve. Amex receive the same interchange fee regardless. Curve we ultimately trying to fund this with the charges to customers. And that’s also why the airlines run a frequent flyer program – They win some and we win some. Actually all sorts of people travel a lot on business. Especially finance people, operations people, IT people… lots and lots of different job types. I’d say someone who thinks a sales or marketing job is going to get them travelling is often going to be sadly disappointed. Often the most apparently glamourous jobs have the least perks. I say that as someone who has travelled on business a lot, in private a lot too, and been in charge of travel budgets, event budgets and booked and arranged an awful lot of business travel in many industries in my career. oh, and a long time ago worked in travel too. It should be noted that the “protection” advertised has very little protection in my opinion, since the only and final arbiter of the case is curve itself. Once the 45 days MasterCard “chargeback” process to the merchant is exhausted then it will be Curve footing the bill for any claim under this “enhanced protection”. That’s a conflict of interest i would not want to rely on, considering Curve`s lack of current profitability and the quality staff hired in the past year (that i experienced). Its also not certain the FCA would accept a complaint based solely on a dispute of this “policy” due to Curve`s FCA classification, so you would presumably need to rely on the courts for breach of contract (difficult) rather than a clearly defined S75 act with many legal precedents for a CC purchase. Downgraded my metal card just after Amex pulled their agreement. I was so happy that Amex finally works with Curve, but only lasted for a few days. O/T but since there’s quite a bit of discussion on Revolut above – has anyone done Revolut’s Source of Funds check recently? How long did this process take you? And if you don’t mind disclosing, what limit do you have to hit before you were asked to provide docs? I’ve just been asked to do it – very fiddly on the App because it only lets you upload JPEG on your phone or take a picture. Asked me for 3 months payslip & 3 months bank statements (not unusual) but also a copy of my tax return (hard to upload pages in JPEG). It says to wait 48 hours for a response, I’ve not had one yet. FYI, It just went through, around 24 hours after sending docs in. They also asked for updated copy of driving licence as the one on file was old. 24 hours isn’t too bad. I was still able to spend as well, just not make transfers or top-up. Yes. I think each time you flag up for review they will give you a new limit based on your circumstances so it must be different for everyone. That said if you are spending enough to hit that you should be fairly used to KYCs. Their process isn’t too onerous and can be sorted over the chat system. Took a few days for me – same as last time. A slow and laborious process IME. Wish they’d bring back the tracker that let you know how far off another source of founds check you were!